At age forty-four, Penelope Niven was at a turning point in her life. In need of a change for both body and spirit, she decided to learn how to swim. While discovering the restorative effect of the water, she also began to notice that the lessons she was learning in the pool drew remarkable parallels with the lessons of life. The way in which you first get into the water, for example, is similar to trying anything new-you can jump in feet first, or dive in headfirst, but first you have to have some idea of what you're actually getting into. 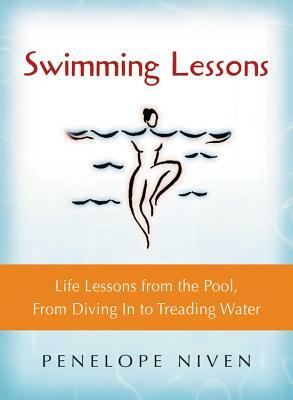 From floating to treading water, forward strokes to the backstroke, Swimming Lessons combines the familiar lessons of swimming with personal anecdotes and apt observations to stirring effect. Sensible, touching, and personal, this appealing book will be invaluable to any reader facing a life change or simply looking for a little bit of inspiration. "Inspirational. This delightfully original primer is recommended for those attempting to tread water both in and out of the pool."